Read on for some interesting and fun facts about Sierra Leone, a country known as much for the richness of its culture as also for its mineral resources. Sierra Leone, in West Africa, is a country flanked by Guinea in the North, Liberia in the Southeast and the Atlantic Ocean in the Southwest. It covers a total area of 71,740 km and has an estimated population of 5.2 to 6 million. Sierra Leone, a former British colony, is now a constitutional republic comprising of three provinces, with its western area divided further into 14 districts. 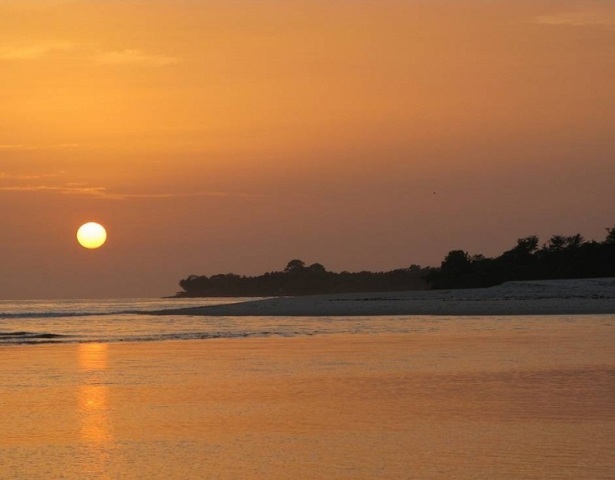 It is blessed with a tropical climate and diverse environment ranging from the savannah to the rainforest. The largest city and economic center of the country, Freetown, is also its capital. The supreme legislative power is vested with the parliament, the law making body of the nation. Supreme executive power rests with the President who is the Head of State and Commander-in-Chief of the armed forces and of the members of his cabinet. Judicial power lies with the judiciary, with a Chief Justice as its head. Sierra Leone, rich in mineral resources, has since long relied on mining, especially of diamonds, for its economic sustenance. One of the top 10 diamond producing nations in the world, it also earns a lot of foreign currency from mineral exports. Though rich in diamonds, it has struggled against exploitation of resources and trade problems. Sierra Leone is famous for ‘blood-diamonds’ that were mined and sold during the civil war to raise money for weapons. The civil war had a devastating impact on Sierra Leone’s economy, which now seems to be gradually emerging from the strife. Sierra Leone has been inhabited now for at least 2,500 yrs by settlers from various parts of Africa. Agriculture has also been practiced here since 1000 A.D., especially by coastal tribes. Sierra Leone, also known as “the little jewel” in West Africa, is blessed with a fusion of different cultures, religions and races. It is home to around 16 ethnic groups. A rather economically weak African nation with social, developmental and infrastructure issues and inequalities, Sierra Leone is going through a lot of transition. Sierra Leone gained its independence from Great Britain on April 27th, 1961. The name of the country comes from the words "Serra Leao," meaning "Lion Mountain Range" in Portuguese. Sierra Leone is one of the world's youngest democracies since 2007. Sierra Leone has been an independent republic for over 45 years. Freetown, which overlooks the Atlantic Ocean, is the capital and largest city of the country. English is the official language of Sierra Leone; however, Krio (a language derived from English and several African languages), is widely spoken in virtually all parts of the country. On February 14, 1972, the country made headlines when the world's third-largest gem-quality diamond – called the "Star of Sierra Leone" – was discovered in Koidu. Sierra Leone is also the birthplace of Eunice Barber, one of the world's top female athletes from the late 1990s. Sierra Leone is home to the third largest natural harbour in the world, the Queen Elizabeth II Quay. Since independence in 1961, Sierra Leone's politics has been dominated by two major political parties: the Sierra Leone People's Party (SLPP), and the ruling All People's Congress (APC). Sierra Leone ranks 103rd in the list of most populated countries of the world. Sierra Leone’s currency is the Leone, and the central bank of the country – the Bank of Sierra Leone – is located in Freetown. Sierra Leone has a 2% GDP growth rate and its GDP in 2009 was $2.064 billion. Sierra Leone is a member of the Economic Community of West African States (ECOWAS). The two largest and most dominant ethnic groups of Sierra Leone are the Mende and Temne. Two thirds of the adult population of Sierra Leone is illiterate, and the country also has high infant mortality and low life expectancy rates. The maternal death rate of Sierra Leone is the highest in the world, at 2,000 deaths per 100,000 live births. Media has been present in Sierra Leone since the first printing press in Africa was introduced there in the early nineteenth century. The international dialing code for Sierra Leone is +232. The city code for Freetown is (0)22; other areas do not require a code.